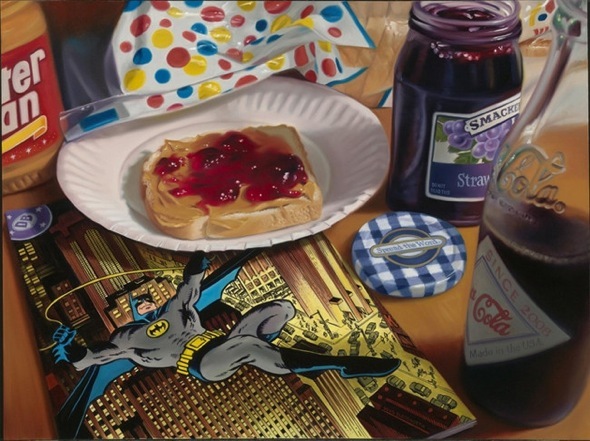 last week my younger brother emailed me a link to the work of photorealist artist doug bloodworth. i laughed as i read his message because he wrote "i don't see the point in recreating a photo through painting, but the concept, and the fact that he did it so well is incredible." his comment actually made me a bit sad. in a way he's suggesting that because we've developed photo technology, what's the point in practicing antiquated crafts such as painting? to compare it to a different subject matter - i love typography and modern computer fonts...but i also wholly appreciate (and hope to learn!) hand calligraphy. just because something can be captured or completed in a more timely and efficient manner doesn't make other forms of creation less valuable. 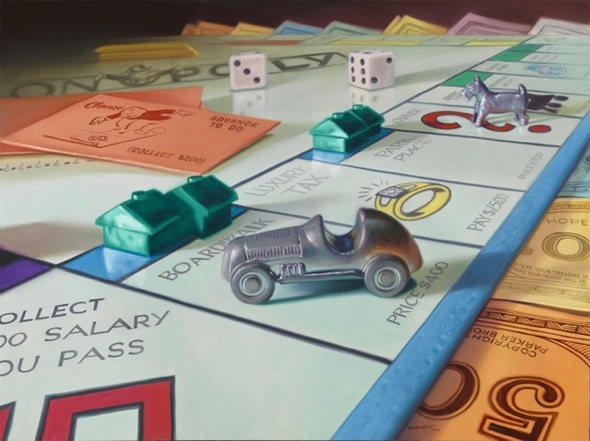 and funnily enough, though the term "photorealism" references a comparison to photos, essentially it's just painting. painting the way it used to be: back before artists were celebrated for their interpretation of the world, attempts to depict it were straightforward and anything that didn't mirror it closely was considered blasphemous. and so it seems humourous to me that if a painter uses this traditional style, some will view it as pointless. when in fact it did us just fine for centuries...and centuries...and centuries. and just one last thing i swear! i don't think photorealists necessarily render their artwork based on photos...but rather the final result simply looks like one. p.s. 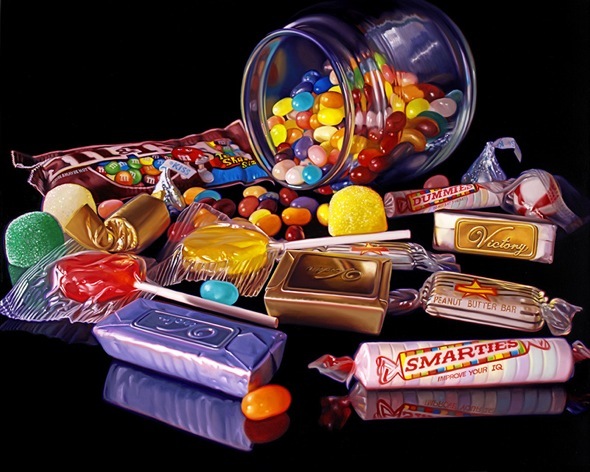 check out one of my favourite photorealist painters, as well as one of the most well known photorealists. p.p.s. this might also give you some idea of the sheer skill this type of painting requires. Hey, thanks for the shout out. 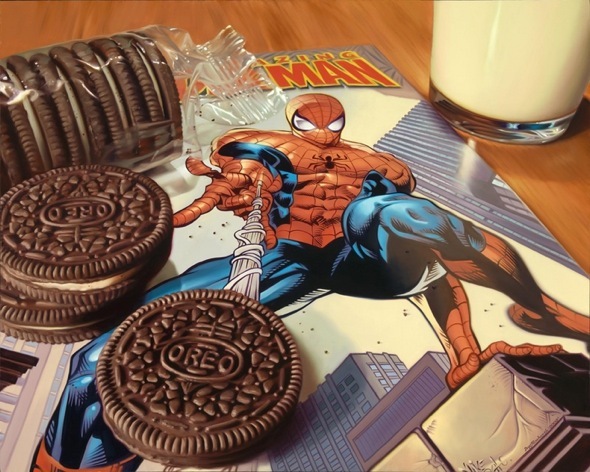 If anyone would like to purchase a Doug Bloodworth piece, please visit us at www.photorealism.com or call us at 561-886-8288. Thanks. 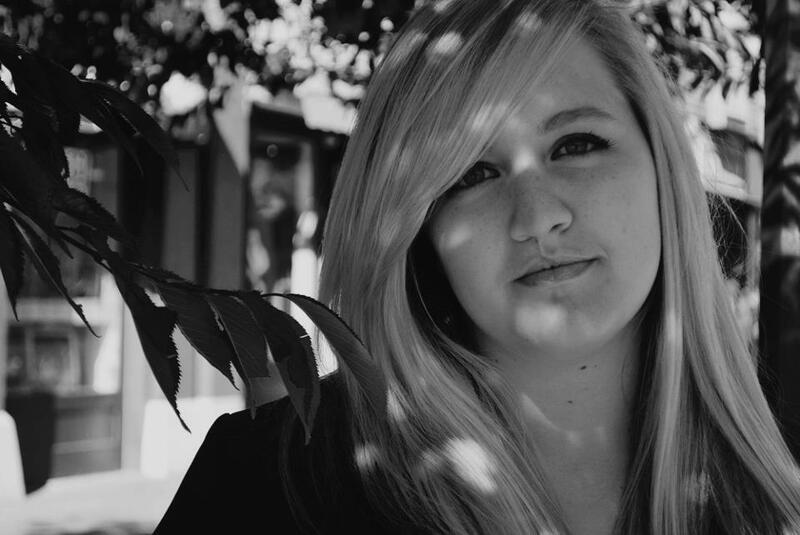 Love your take on photorealism and I wholeheartedly agree. It's often an unfairly maligned style requiring tremendous skill.